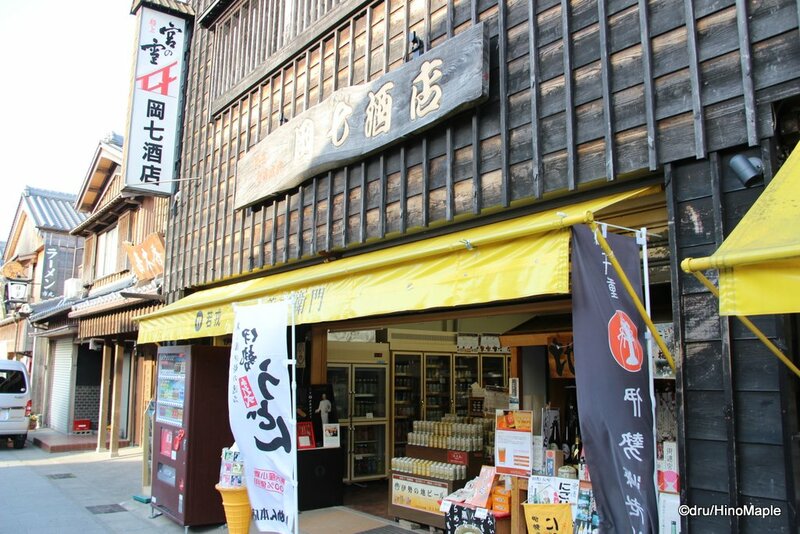 I previously mentioned how much I enjoyed going to Ise Kadoya Biya, Naiku shop, to enjoy some food and beer. I didn’t get to go to their main restaurant in Ise because I didn’t have a car and a taxi wasn’t really worth it at the time. I did visit their other shop in front of Ise Shrine’s outer shrine (Geku). 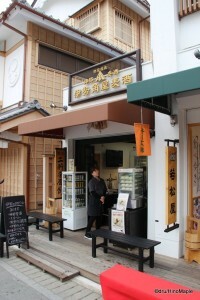 They have a small shop that is set up so that you can do some tastings as well as purchase their beer bottles. They often sell their 3 beer set. It includes a Pale Ale, Stout, and Brown Ale. These are all pretty good but they aren’t cheap. The box makes a lovely gift but carrying 3 big bottles home to Tokyo was not a light task. There are many different sets you can buy and you can even buy the seasonal beer at the Geku shop. The seasonal beers are definitely pricey but I did pick up one that was great; in fact I loved it. I only wish the price wasn’t as expensive as I would have liked to buy a lot more. When I was in the Geku shop, I was debating whether to buy another seasonal that was only at their Geku shop but with the weight of my bag being as heavy as it was, I shied away from buying it, and I do regret it. 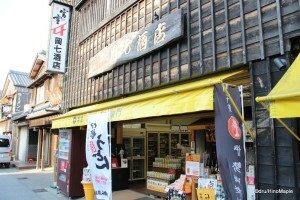 My bag was heavy because I didn’t buy my Ise Kadoya beer at Ise Kadoya’s shop. I bought it at a liquor shop next to the Naiku restaurant. I went up and down Oharaimachi looking at the different shops and settled on buying beer from the shop next to the Ise Kadoya’s Naiku restaurant. It isn’t affiliated with Ise Kadoya but they had the beer I wanted, and much more. They had the box set with 3 beers as well as the seasonal mikan ale called Shiranui. I also enjoyed the fact that there was a nice old man at the counter which made me feel as if I was supporting the local community rather than just the company that made it. Many of the larger souvenir shops do carry Ise Kadoya beer and you can buy the box sets but they usually don’t carry the seasonal beers. I actually want to go back and make more purchases with this old guy to help him but I think he gets enough from the regular customers all day. If I had a choice, it would be him or the Ise Kadoya Geku shop rather than the big souvenir shops. This entry was posted in Chubu, Chubu Food and tagged beer, Chubu, craft beer, Ise, Ise Kadoya, Isekadoya, japan, Ji-Biru, Mie, Shiranui by Dru. Bookmark the permalink.